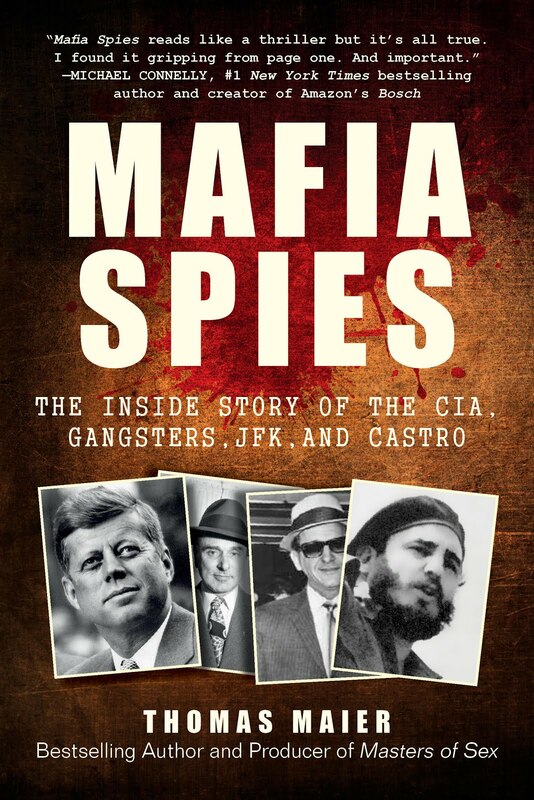 Thomas Maier Books: After Oliver Stone's 'W' Comes Next Month's 'JFK' and 'Kennedy' Docu Based on Book "The Kennedys: America's Emerald Kings"
After Oliver Stone's 'W' Comes Next Month's 'JFK' and 'Kennedy' Docu Based on Book "The Kennedys: America's Emerald Kings"
Next in line to receive Warner Home Video’s elaborate “Ultimate Collector’s Edition” treatment will be JFK, the 1991 Oliver Stone film about the assassination of President John Fitzgerald Kennedy and the alleged cover-up that followed. The set will be available Nov. 11 as the three-DVD JFK: Ultimate Collector’s Edition at $39.98; a Blu-ray Disc of JFK will be released the same day at $34.99. In a superheated election year, and on the 45th anniversary of the assassination, the timing was right to re-release the film, said Jeff Baker, Warner’s EVP and GM of theatrical catalog. So Baker commissioned a documentary based on the Thomas Maier book about the Kennedys, directed by Kline, who had previously produced Stone’s Heaven & Earth (on DVD from Warner) and worked on a documentary for Warner’s Ultimate Collector’s Edition of Woodstock: 3 Days of Peace & Music. exploration into the Kennedys’ history, including in-depth looks into some of the lesser-known Kennedys, such as younger sister Kathleen Agnes Kennedy, whose death May 13, 1948, greatly affected her brother. 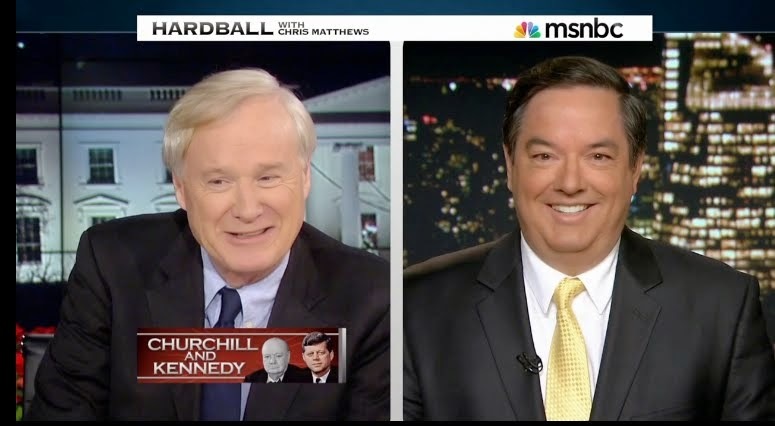 Kline, who as a young man worked for Robert F. Kennedy, by chance was able to access footage from the John F. Kennedy Presidential Library and Museum for his documentary, which also will be available the same day as a standalone DVD, at $19.97. Some of the library material Kline accessed included letters written by or to Kennedy. Six of those letters will appear, reproduced, in JFK: Ultimate Collector’s Edition, including Kennedy’s inaugural address and a handwritten letter to his father, Joseph P. Kennedy, Sr. They will appear alongside re-created presidential photos from the library and a re-created campaign button from the National Archives and Records Administration. The Kennedy library content will make its public debut with this home video release, making it somewhat of a first in terms of historical content coming to the public with a DVD. 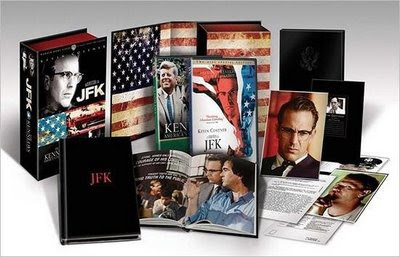 The three-disc set also includes extras previously included on the two-DVD JFK: Special Edition Director’s Cut, including commentary from Stone, the featurette “Beyond JFK: The Question of Conspiracy,” two multimedia essays, and extended and deleted scenes. The set also will include a collectible hardcover book with production photos, photo cards of the actors with character bios, and background on the film and why it’s relevant today. The Blu-ray version will come in Digibook packaging, with press material and photographs from the film, and does not include the special features and reproduced presidential memorabilia contained within the DVD version.